The word Abacus has been derived from a Greek word ‘abax’ or ‘abakon’ which means ‘tabular form’ that is possibly derived from a Semitic word ‘abq’ which means ‘sand’. Invention of Abacus- The abacus is the most primitive form of calculating device which was invented somewhere in between 300-500 BC. 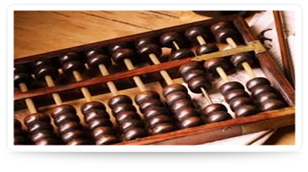 The abacus has travelled a long way and had transitions as it travelled in different countries over the world. 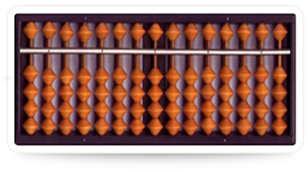 The abacus in ancient days was used purely as a calculating device. Every bead was assigned a value starting from a units place moving towards the left. The beads in the upper deck had different values than of those in the lower deck. The calculating process necessiated the use of both hands of the person using it. All the calculations were based on the movements of the beads. This was probably one of the greatest invention of the ancient days that helped the merchants and traders in their accounting. How Abacus came into existence? The necessity-There was a time when there were only 9 (1 to 9) digits available for counting purposes that too on fingers. This made it difficult for the traders to calculate the cost of selling and purchase of goods. That was the time when the abacus instrument was made for long additions, subtractions, multiplications, divisions, negative numbers etc. It was earlier structured horizontally having a wooden frame and beads of stones and pebbles which were later changed to vertical alignment. Over the years it has been transformed several times and is now finally used as a brain development tool for small kids. 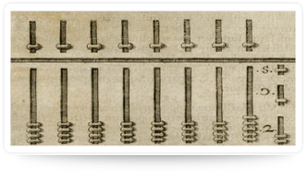 Who Invented Abacus? Abacus was invented by Chinese in 500 BC (while some indications argue on its invention by Babylonians in 300 BC) and was used as one of the most primitive calculators (or counting device to be precise). The first century sources have also given evidence on abacus being used by Indians with a separate column that counted digits with ‘shunya’ (zero). Although, the history still searches for facts that can give a confirmed statement on the invention of abacus. The Salamis tablet (300 BC) used by Babylonians circa is considered to be the ancestor of abaci. Then came the Roman and Greek abaci, which had different orientation and presentation, but same functionality. Different ages brought different changes in the forms of abaci as its usage was adapted by races from China, India, Korea, Persia, Rome, Japan and Russia. The Suanpan, one of the modern age abaci which was a Chinese abacus had 2/5 decks and due to its complexity was replaced by Soroban abacus, a Japanese abacus, which was developed further by a famous mathematician Seki Kowa who removed one bead each from upper and lower decks to make it 1/4 decks. The abacus we use today is the Soroban abacus. 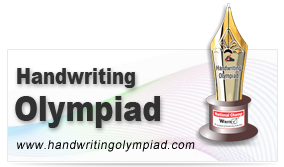 It gained popularity with the whole World competing on a common platform after Globalization. It had an impact on the education system of different nations.